This module allows your clients to complete orders in your online shop, then pay and pick them up at one of your physical shops. The client will be able to select which shop they want to go to. 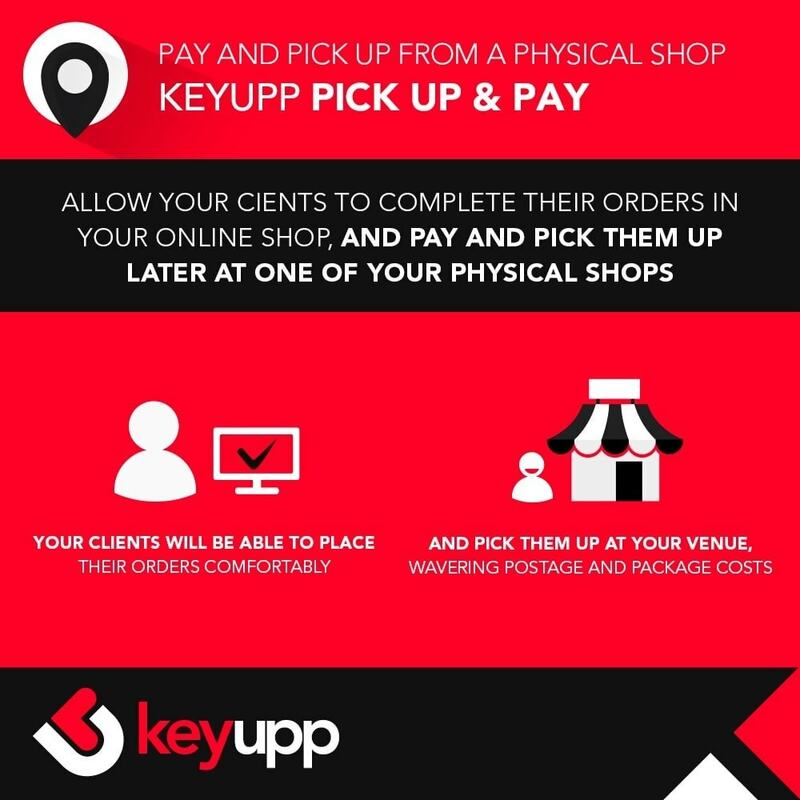 Offer your clients the possibility of completing their orders in the online shop, and then pay and pick them up at a physical shop. Avoid logistics and online payment problems by allowing your local clients to pick up and make the payment at one of your physical venues. 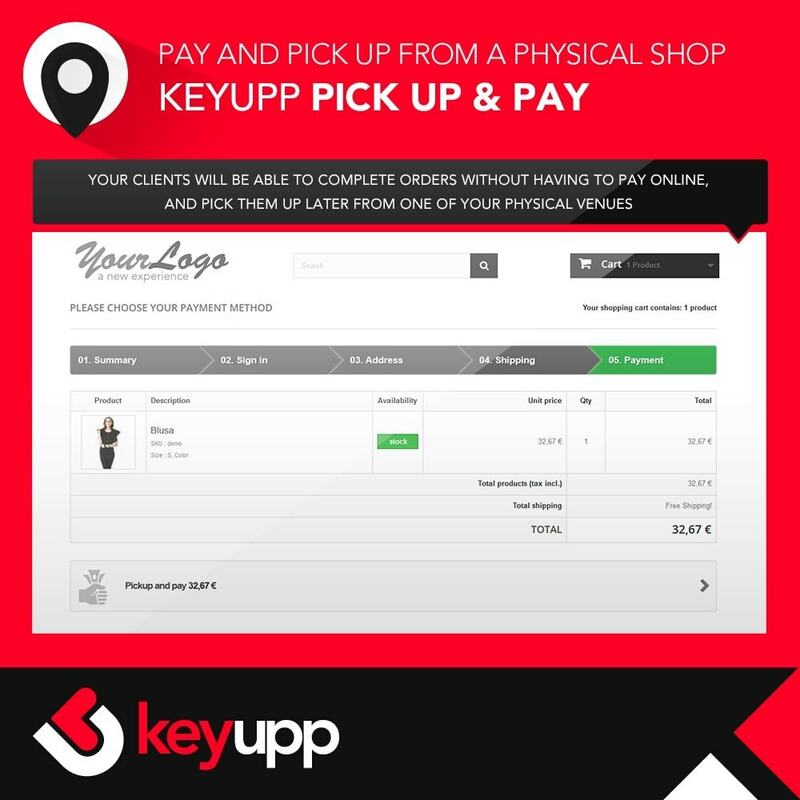 Allow your clients to select their preferred shop to pick up and pay for their order. Your clients will be able to complete orders without having to pay online. 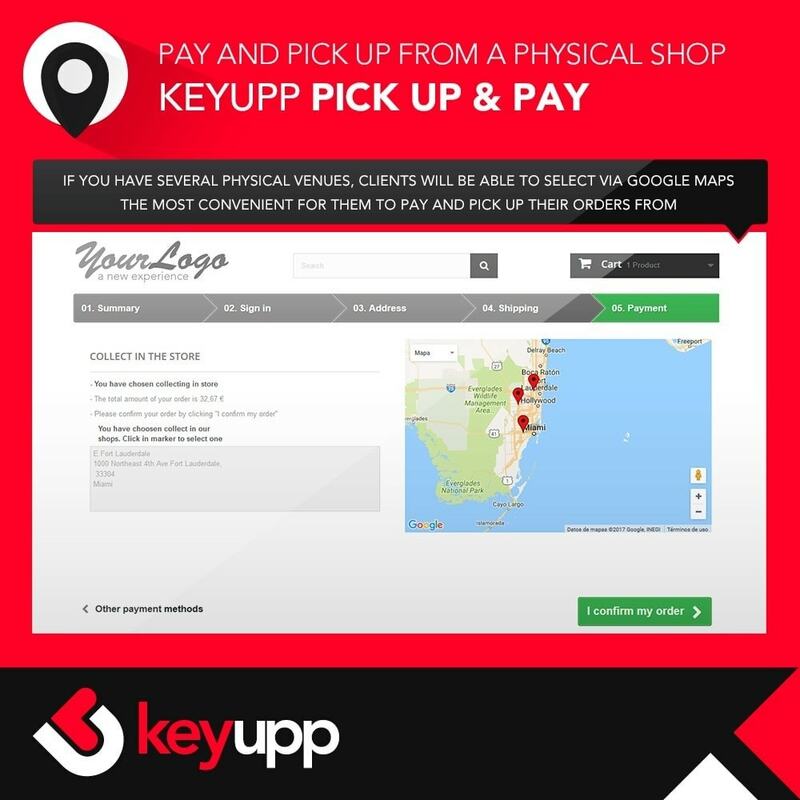 You can set up as many physical venues for pick up and pay as you need via the backoffice. Fully compatible with all the other payment and postage methods already set up in Prestashop. 1. Completing an order via pickupandpay saves the order with a new status. 2. You can restrict this payment method to one or several courier companies. 3. You can configure which of your physical shops will allow for pay and pick up orders. 4. The shop admin will see in the backoffice which orders are set to be picked up. 5. Once the order is complete, the backoffice will generate a private note showing the address of the physical shop where the client will pick the order up. Clients will be able to complete their orders in the online shop and pick them up later at one of your physical venues. Clients will be able to select via Google Maps the physical venue in which they'd like to pick up and pay for their order when there are more than one. Clients will not feel forced to pay online to complete their order. Clients who choose to pay and pick up their order at a physical venue will not incur any postage and package costs. You can install this module from the Modules tab in your shop (backoffice - modules and services - add new module). Simply upload the package you have previously downloaded from the Prestahop addons. In some cases, usually due to hosting restrictions, it is not possible to upload the package from the Prestashop backoffice. In these cases you may use a FTP client to upload the module folder to the "modules" folder in your shop. Once the module has been uploaded, it will show in the list of available modules for installation and you'll be able to install it in your shop. Add Nutri-Score information and icons to your products.